Why Make Several Niche Stores from Your Main Store? 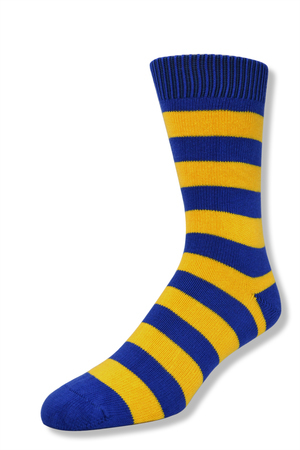 It’s better to be number one in the niche “blue socks with yellow stripes” than number 1000 in “socks”. If you run a store that sells many different categories of products you should try opening niche stores using the inventory/stock you already have. With our Multistore plugin you can publish one or more of your inventory to new niche stores at new domains. Aside from making things easier, the best part is that the product inventory will always sync both ways between the parent store and the child/niche store. Why Should You Make Niche Stores? There are many reasons for making niche stores, but one obvious reason is that you will get less competition. It’s a known fact that broader websites are much harder to rank than niche sites. Specific niches stores always have less competition than stores with a wide range of products as you’ll be competing with big brands or stores that have been around for years, and/or have a much larger marketing budget. While it can be a bit risky to sell in a less competitive niche, you are more likely to get better and faster results. However, by using our plugin in the store you already run you will eliminate that risky part. This is because you are already in the market, but can easily generate more sales from your niche store(s) which is a bonus. It’s also easier to build a reputation (or multiple reputations) which can greatly benefit your income. For instance, if someone asks for a recommendation on where to buy blue socks with yellow stripes, someone might recommend your store as you are a ‘specialist’ in the product. They will see you as a business owner who cares about the products you sell, not just another large shop without a face. As we’ve covered, many internet marketers prefer to create niche websites as it’s far easier to rank. For instance, if someone Googles a specific product they are much more likely to find a shop selling only that product as the search engine will see it as an authority site. By creating niche websites you can also focus on keywords related to that single product or range of products which will better help you to rank. Our plugin makes the process much easier so you can make better use of your time growing your business.